Historic Richmond Town is a living museum that hosts live re-enactments of daily life for American and international visitors in Staten Island, New York. 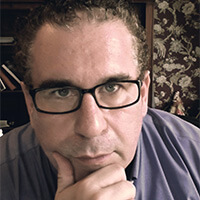 Executive Director Ed Wiseman, with a background in television and film production, had a big vision for the centre when he took over as its head. His big, ambitious goals for Historic Richmond Town required more fundraising money and cutting-edge technology behind the scenes to help the museum grow its impact without growing its team. Wiseman and his team tried out a number of solutions, including a task-management app, he says. But even his tech-savvy, young employees didn’t connect well with the system and the team complained it took away some of the team spirit, he says. After the decided to implement Redbooth, “they got it right away,” Wiseman says. He used screen capture software to record a five-minute how-to video for the software and his team jumped on board right away. Redbooth has allowed the team to tackle more, often bigger projects, he says. 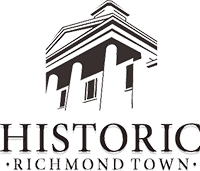 The launch of Historic Richmond Town’s new website, from the grant application procedure to the future wishlist for it, was done through Redbooth, says Wiseman. Ed Wiseman, the Historic Richmond Town’s Executive Director, says he uses Redbooth’s mobile app at all hours, even at the drive-through at Dunkin’ Donuts in the morning. In addition to the website, it’s allowed his team to manage more and larger events, take on more ambitious projects and apply for more ambitious grants, he says. The museum has doubled its attendance in the last five years and added more programs and events, which Wiseman says is all tied to its increased productivity. The team is now planning a documentary and book, as well as a new strategic plan that thinks even bigger than before. Wiseman says Redbooth has increased transparency about what his team is doing and decreased the need for micromanaging. The mobile app is useful for him to check on his team’s progress at all hours, he says, even at the drive-through at Dunkin’ Donuts in the morning.